As your premier Pasco County HVAC technicians, Benjamin Brothers are dedicated to providing you with the best in HVAC technology for a more energy efficient and comfortable home—but we’re also incredibly passionate about making sure your home’s air is clean and breathable every single day of the year. Indoor air quality isn’t just a matter of comfort—it’s incredibly important for your health and well-being. If your air quality is poor, it can cause chronic health problems or exacerbate current health problems, and make your home an unhealthy and uncomfortable place to live. If you experience allergy symptoms all year long, have unexpected allergies, or heave health problems that don’t seem to have any sort of explainable cause, there’s a chance that poor indoor air quality could contribute to what ails you. 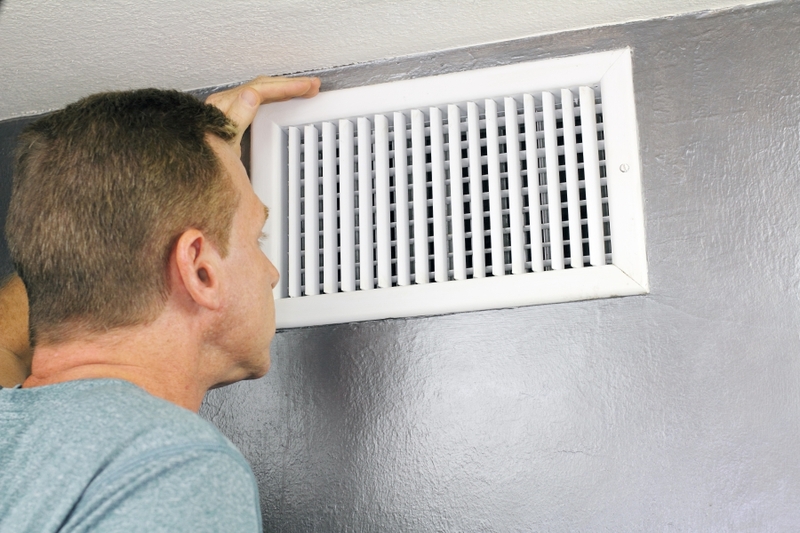 In this blog, the Pasco County HVAC experts at Benjamin Brothers will outline the most common causes of poor indoor air quality. With the proper knowledge and a keen eye, you’ll be able to identify and eventually fix the problems with indoor air quality in your home. While there are plenty are outdoor pollutants that can harm the indoor air quality of your home (as we’ll discuss later in the blog), it’s often the pollutants that are already inside your home that can do the most damage. 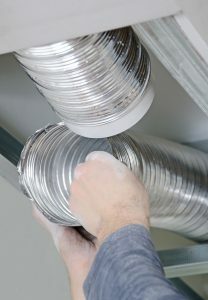 These pollutants spend months, if not years, cycling through your ventilation systems in your home, kicked up in the air and causing allergies and other health problems in the process. Dust, chips of paint, smoke and ash, residue from household cleaning supplies, and dead skin cells (yikes!) are the usual suspects here, making your home’s air approximately four times dirtier than the outdoor air, according to studies by the United States Environmental Protection Agency (EPA). It’s not just your human byproducts that can soil your indoor air quality—your furry friends also have a part to play. Dogs, cats, and even pet rodents like gerbils and hamsters shed dander and hair that can get trapped inside your home and flare up allergies, breathing problems, and other ailments. Ultimately, keeping your house clean is the only way to minimize the effects of indoor pollutants in your home. Purchase a HEPA filter vacuum, clean surfaces regularly, clean up after your pets, and have your air ducts and HVAC system cleaned at least twice a year to keep your air clean and your body healthy. Dark, damp areas of your home (like your bathrooms, attics, closets, and basements, can become a breeding ground for microorganisms like mold and mildew. These microorganisms don’t just create an eyesore in your home—they can have severe consequences for your health. 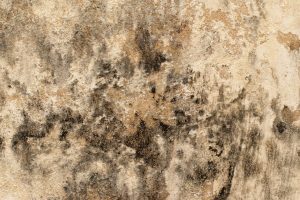 The most common household molds, Aspergillus, cladosporium, and stachybotrys atra (the dreaded black mold) can build up in your home over time, causing severe allergies, respiratory problems, and even asthma. Use bleach (and wear a respirator or dust mask) to remove mold from your home, and use a dehumidifier to keep your home’s humidity under 55 percent, which dramatically reduces the chances that you’ll develop mold in your home. Dust mites are another common cause of poor indoor air quality, burying themselves in bedding, carpets, couches, and other fabrics, and make a feast out of all the dead skin flakes around your house. Much like mold, these creatures thrive in warm, humid areas above the 55 percent humidity mark. Dust mites are a leading causes of allergies in the home, and their effects can be debilitating—living dust mites often cause allergies, sneezing, watery and itchy eyes, and coughing, which all become more severe if the dust mites are trapped on sleeping surfaces like pillows, mattresses, and blankets. While there’s no true way to eliminate every single dust mite from your home, keeping humidity low and washing your sheets in hot water once per week will keep these pesky creatures at bay, and reduce your risk for allergies. If you live in a highly populated urban area or near a busy street with a lot of cars and buildings, you have a much greater risk of poor indoor air quality in your home. Car exhaust, natural gas vents, sanitary stacks, flues, and vents from restaurants can all contribute to poor indoor air quality, no matter if your windows are open or closed. The haze and smoke from these structures can sneak in under doors, through cracks and seams in your doors and windows, and even through a wall-mounted AC unit if you have one. It’s not easy to change where you live, especially for these reasons. However, there are still ways to improve the quality of your air and reduce allergy symptoms and other medical problems. First, purchasing a HEPA air filter for your home will catch pollutants of virtually all sizes, and circulate cleaner air through your home. Also, keeping an eye on rush hour traffic and opening windows when not too many cars are on the road is another way to get some fresh air in your house and minimize the amount of car exhaust that can potentially sneak in. It doesn’t matter if you keep your house super clean or use HEPA air filters—if your HVAC system is trapping dust, dirt, mold, and mildew, you’re going to have poor indoor air quality and health problems as a result. You need HVAC system and air duct cleaning at least twice per year to make sure your system isn’t circulating pollutants that cause you harm. That’s where Benjamin Brothers can help. Our experienced HVAC technicians can help you understand the state of air quality in your home, and provide you with top-of-the-line air duct cleaning and HVAC service that will keep your air comfortable and breathable all year long. Don’t wait—keep your air clean, and schedule an appointment with Benjamin Brothers today.